Since the miniseries of “Sharp Objects” just premiered this week, I thought this would be a good pick for my Throwback Thursday. I haven’t watched it yet but I have heard good things. I would really like to try and read the book again before watching but I’m not sure if I’ll be able to hold off. I really enjoyed this novel and hope you did too! I’d love to hear what you thought of this book and/or the TV series. I plan to watch the tv series but I just recently got the book and I want to read it first. I look forward to it. Oh wow, I’ve been looking for a movie based on a book to fill one of the squares in my summer reading challenge bingo card. 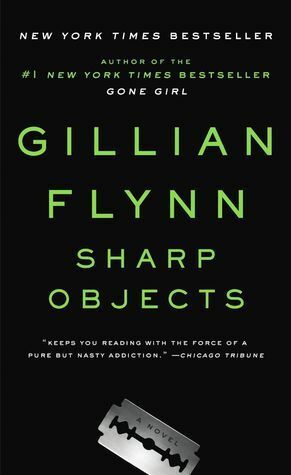 I haven’t read Sharp Objects (only read Gone Girl), so maybe I can do both the book and the movie! Happy watching! I really want to read this before the TV series comes out in the UK. Very interested to see if I will prefer it to the series. For Gone Girl, I actually enjoyed the movie better. gee’s a book turned into a series? I’d b interested to know how closely the series stays to the book! Thanks, I didn’t know that the book is now a TV series. I read Gone Girl and I lovedddd Dark Places. 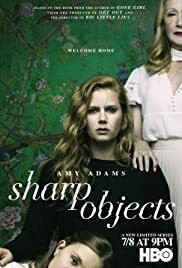 Sharp Objects is sitting on my shelf to read. Can’t wait now! Thanks, Jen!! I have it on my DVR too 🙂 I still haven’t decided whether to read the book and hold off on the series or to just watch it. For now I’m holding back but once there is a few episodes out I will probably cave in. I hope you love it!! I have heard about the series but I am trying to first read the book. Glad you enjoyed the book so much. Thanks for sharing. Love your thoughts on this one. I rarely watch a movie based on a book because I’m always so disappointed, but this one looks really good. Another one that I have had on my bookshelf for awhile. I also want to read it before I watch the series. A great throwback to share with us. It is on my list of summer reads that are not ARCs, I hope to get to it. Definitely! Amy Adams is so good in the role! Her mom is just creepy!! I hope you enjoy it when you get to watch it! Haven’t seen the series yet, but I want to watch it. I listened to the audiobook and loved it!! I saw them interview Amy Adams on The View. She brought a fart machine to the set of Sharp Objects to help lighten the mood of such an intense show. Haha! LOL! I like her even more now! I’m glad you enjoyed the audiobook. I hope you enjoy the show too. Great pic Deanna! I loved this one. I didn’t realize this was a miniseries. I need to check it out!